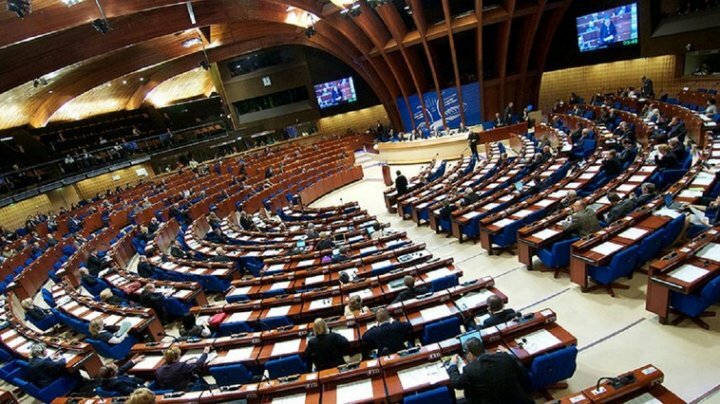 The Parliamentary Meeting of the European Council adopted a resolution regarding money laundering actions in the APCE member countries. The most recent example, well know as „Global laundromat”, „Azerbaijani Laundromat” and „Troika laundromat”. At the same time, APCE requested to strengthen the national mechanisms and the international cooperation to fight against this challenge. Especially, the Parliamentary Meeting requested Russia to cooperate with the institutions of other countries among which, the Republic of Moldova, in order to punish the ones involved in these actions. "The world laundromat was realize due to the grave issues that many structures were facing. This is how many Russian businessmen, members of criminal groups found an illegal way to transfer huge money amounts on a minimum transaction cost." According to the resolution, this was possible due to the bribery within the Moldovan bank and justice systems, the lack of transparency in some UK companies and also because of the failures to fight against money laundering, especially at ABLV bank from Latvia. "Despite the evolution from the Republic of Moldova and the promises offered by an UK investigation, the world laundromat wasn't well investigated. What is really worrying is that the Moldovan authorities accused Russian colleagues of blocking their activity because of some FSB instructions", it was mentioned in the resolution. Thus, APCE invited Russia to "deeply and efficiently investigate the world laundromat and punish everyone involved in it." At the same time, the Parliamentary Meeting asked Moscow to "cooperate with the authorities of the other countries within this file." -to take into consideration the necessity to repeal the fiscal amnesty for grave crimes, as it ricks facilitating money laundering. APCE also came up with some recommendations for the country members of the European Union and the EU Council to strengthen the international fight against money laundering, organized crimes and bribery. PUBLIKA.MD reminds that Moldova was a test field for money laundering schemes invented by Veaceslav Platon. Moreover, these operations with the Russian Laundromat did not start once by raider no. 1 from the CIS but from the 1990s by the secret services in Moscow.